The region’s best and brightest in accountancy and finance were celebrated yesterday evening (Wednesday, 5th December) at the ICAEW Middle East Annual Honours Ceremony 2018 at the Four Seasons Resort Dubai. 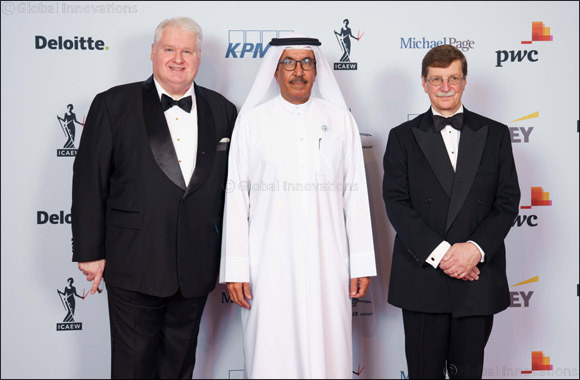 Dubai, UAE, December 06, 2018: Organised by Institute of Chartered Accountants in England and Wales (ICAEW), the annual gala event recognises and celebrates the achievements of individuals or organisations that have advanced the accountancy and finance profession within their chosen field. Industry professionals from across the Middle East attended last night’s gala event, which included keynote address from Frank Gardner, BBC's Security Correspondent and British journalist. The ICAEW Middle East Annual Honours Ceremony is organised by ICAEW – a world leader in the accountancy and finance profession with over 150,000 members across the globe. The event is a key date in the annual calendar of regional business leaders.